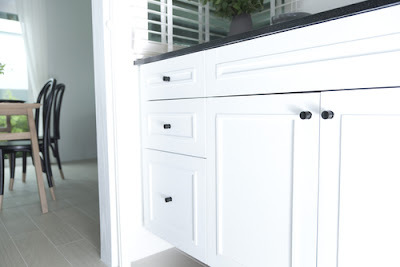 While it may seem a bit overwhelming in trying to choose your new kitchen cabinets, if you take your time and do some research, you'll have the best chance of not only getting the exact cabinet design you want, but you'll also learn that not all cabinets are the same. 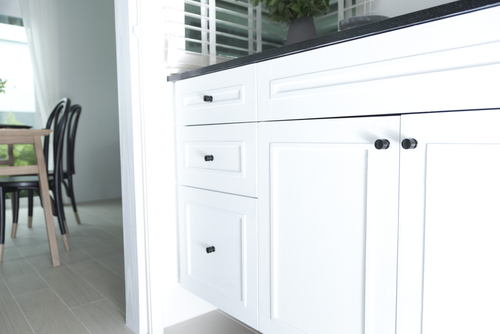 There are a lot of cabinet styles from custom made models to of the shelf versions that you can find at your local Home Depot or Lowe's building supply stores. You may also want to look into having your current kitchen cabinets refaced or resurfaced. This has become a very popular option for a lot of people because the costs can be significantly less then buying a brand new. Be it remodeling a kitchen or constructing one from scratch, is a very long and tedious task. The kitchen is an important section of your house which should be neatly kept. Kitchen cabinets are considered to be a heavy but useful investment. Cabinets are required very frequently in the kitchen and should not be bought reluctantly. Ask a chef or a house wife, and they will tell you the importance of kitchen cabinets. Here are some of the things that you should, keep in mind the next time you go to kitchen manufacturers to buy a kitchen cabinet. Kitchen cabinet set away half of the budget that is designated for a kitchen. If you are looking to cut costs, then this could surely be a place. However, keep in mind that when it comes to cabinets you get what you pay for. Never compromise on quality and buy a cheap cabinet as it will break easily and become worthless. Stock Buying: This would mean getting inside home improvement stores and picking up items starting right from the shelf. They leave no choice for improvements or adjustments. They are the most budget friendly purchasing. Semi-custom Buying: This would mean purchasing items which have been selected beforehand, after looking into options offered by kitchen manufacturers. These cost a little, but permit the power of purchasing the desire items. Custom Buying: This would mean purchasing items desired by the owner i.e. you. This form costs the most, but you get exactly what you desire. Materials have a huge impact on the overall product. Different materials like plywood, particle board, medium density fiberboard, solid wood, melamine, metal or laminate give rise to different impacts. MDF and particle board cost the least, and they can be covered with veneer to bring out the look of solid wood. Plywood is sturdier. It is not mandatory to cover them with any layer as they are self-capable of retaining a modern look. Solid wood is luxurious and the most expensive one. For a sleek modern look, one can use laminate, melamine or metal. Veneers are traditionally stylish, but no veneer will be able to produce the effect of solid wood. Color - After the space color combination of your kitchen is important so always select cabinets that are matched with your kitchen color. Finishing - Finishing look of your cabinets is also important because it can give your kitchen a dream look if it is so fantastic. Hardware is often left out and comparatively very less time is invested in selecting them. However, one should not forget that they have the huge effect on the usability of cabinets. Drawer slides are found in different qualities. They may found with nylon wheels or rollers or ball bearings. Cabinet doors or hinges may be mounted entirely interior i.e. invisible when closed. It is better to have soft-close hinges which cause less noise. Shelf bracket is the next mandatory stuff. Cabinets should be placed properly in adjustable brackets to reduce user effort. 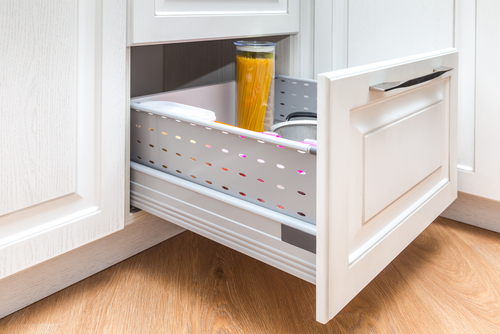 The drawer pullers can be a plain simple one or any fancy stuff. You can consult well-known kitchen manufacturers in your locality for valuable advice. A kitchen cabinet may be with or without frames. Most cabinets are framed. The style of a cabinet will entirely depend on the homeowner. You can certainly surf the Internet to see what will fit best for you. Keep in mind that the most expensive cabinets will not always be the best kitchen cabinets, and on the flip side, the cheapest cabinets will not always be the worst. If you look into some custom made cabinets, then you can expect to pay a premium price. Custom made cabinets are such that the cabinet manufacturer will come into your home and take precise measurements. 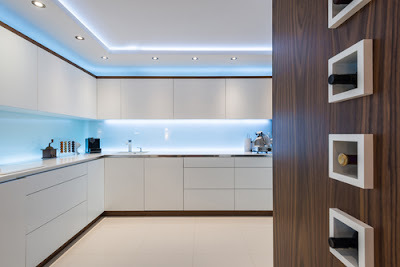 They will then have software programs that allow for interactive kitchen design, so you'll be able to lay everything out and have a 3D, more realistic look then if it was just down on paper. You will be paying for all these extras along the way, so take that into consideration before choosing custom kitchen cabinets. Buying of the shelf kitchen cabinets have their advantages and their disadvantages as well. You'll find these cabinets to be a lot less expensive then custom made models. They may come in a couple of different price points and construction quality, but usually, these stores only stock one line of the cabinet, so your choices will be limited. The bottom line when trying to choose kitchen cabinets is that they firstly must fit within your overall kitchen budget, and they also must fit within your decor styles and tastes. If you find the cheapest cabinets out there, and base your decision on only the price, then chances are that you'll regret that decision because of the look or over all poor construction of the cabinets.Budget is significant in the above discussion. Your all planning depends on it. So before you think to purchase a cabinet must measure your budget that you want to spend on it. If you don't have sufficient budget and want to buy good cabinets, then you must know "These are sold in individual pieces also." But if don't care for the budget and looking for the cabinets is the main focus then buy custom kitchen cabinets. These cabinets can give you your dreamed kitchen in an easy way.